Join us for this special event at Stand Up Live in Huntsville. 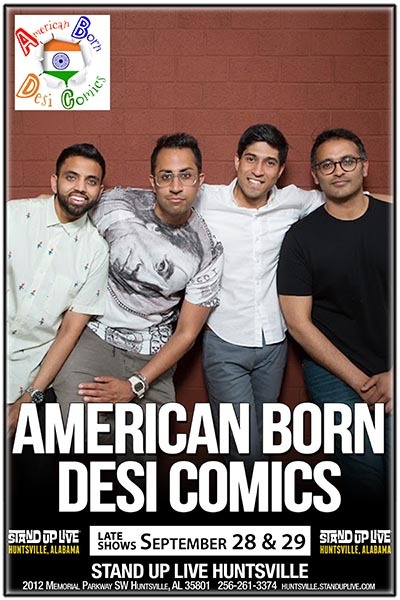 Brought to you by ABDCs (American Born Desi Comics). broad range of subjects that people from all different backgrounds will enjoy.